What a day!!!! I don’t even know where to begin. This day feels like it has been three days in one we have done and seen so much. So my body has started doing this really annoying thing of waking up at 7am on its own. No alarm, no plans, no work, nothing but I’m awake like a light! I am really testing the definition of frustration. This morning was no different. 7am, awake and in denial that we were again on the road. I eventually pried myself from bed and slipped happily into procrastination mode, avoiding the hell of packing at all costs. We needed to put together a reduced bag to go to the salt flats and this required planning and thought…Something I was definitely not feeling yet. 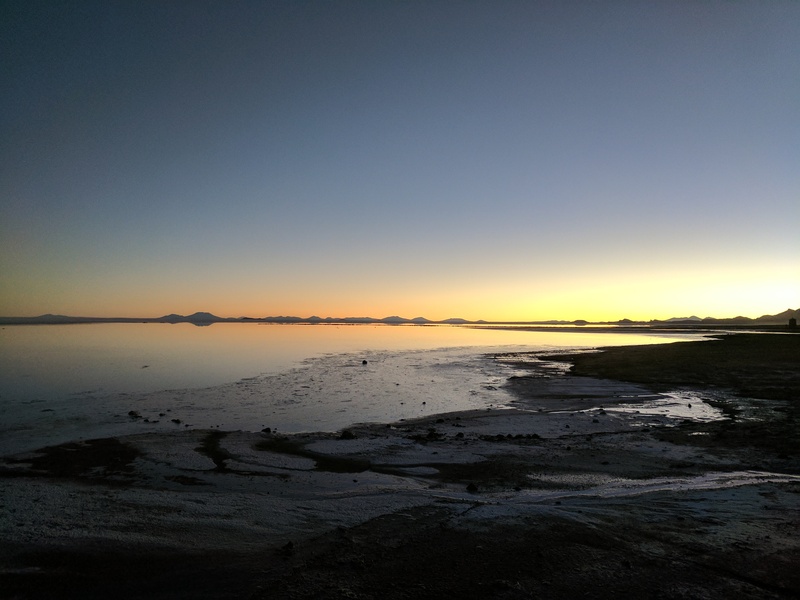 I eventually persuaded myself to pack with the bribery of leftover pizza for breakfast and was soon heading out to the shops of Uyuni to get a hat and some gloves ready for the salt flats. We were loaded into the 4×4’s by 1pm and out on the road again for our next adventure. The first stop was the train graveyard. 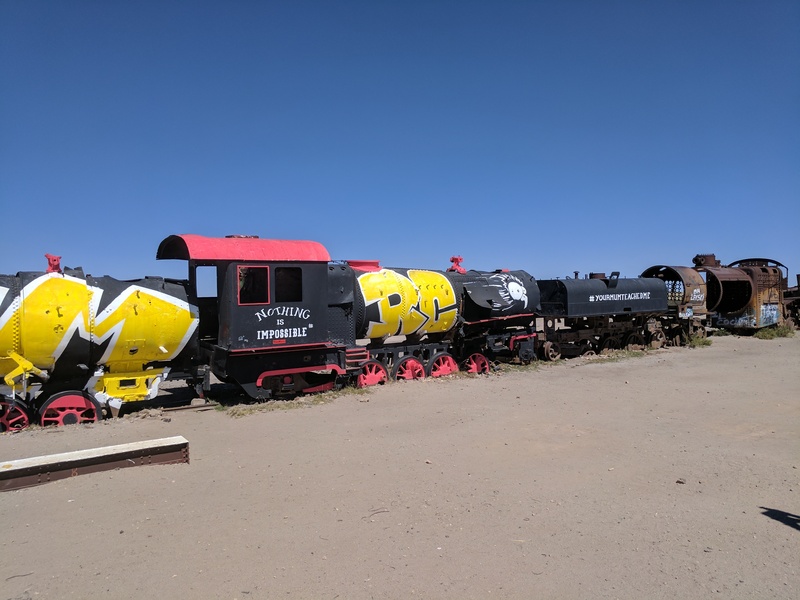 In the middle of nowhere there is an abandoned railway line that used to connect La Paz and Uyuni. This was shut down due to politics and the trains that ran the lines were just left. Abandoned. 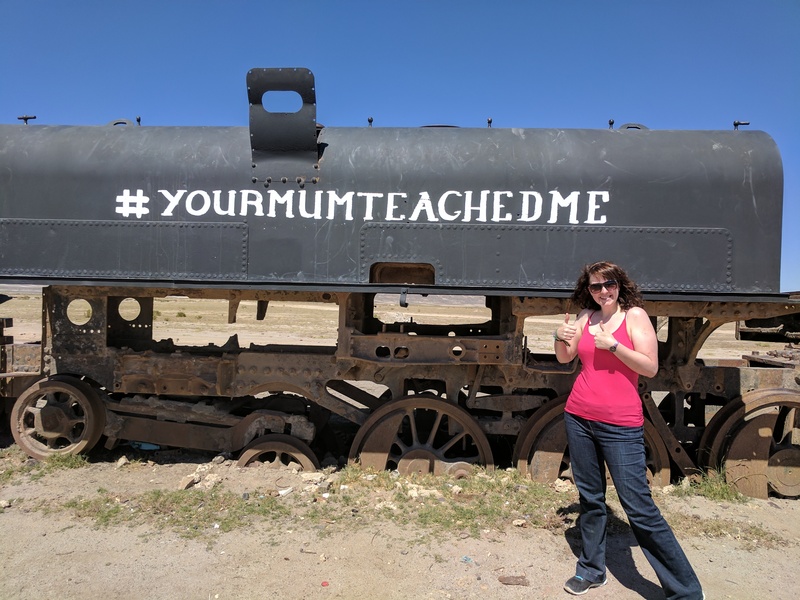 Corroded and forgotten – perfect for pictures! 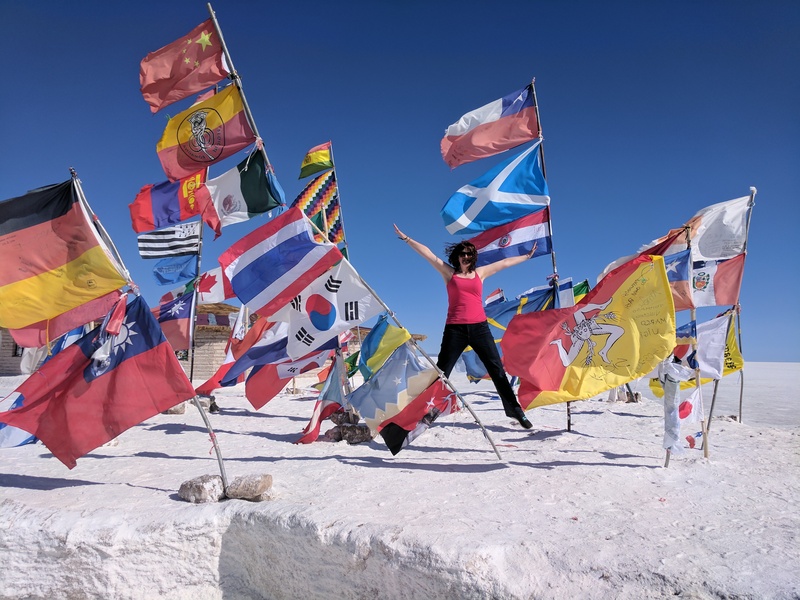 As you’re in Bolivia not the UK, you could climb in and all over them too! The next stop was a little village where we were shown the process of the salt production and the salt crystals. Mostly for us, it was a snack break! 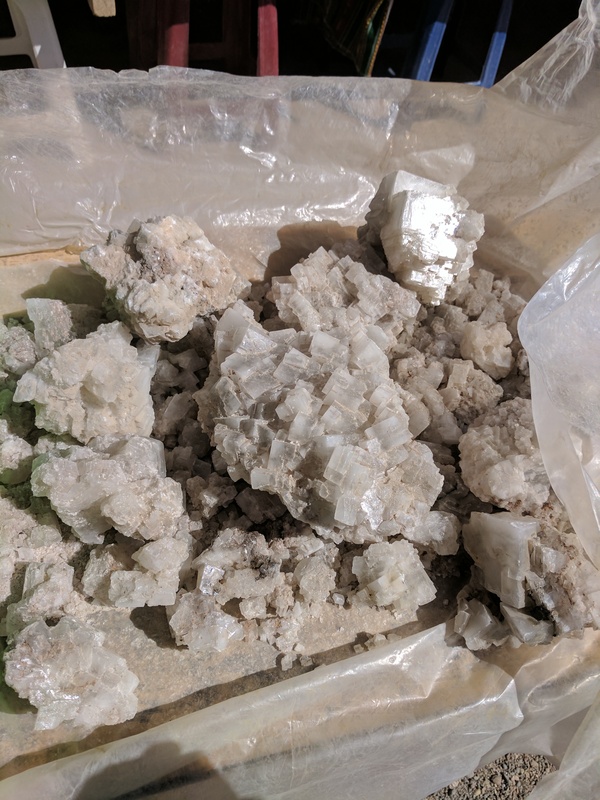 After this, it was on to some more fun! 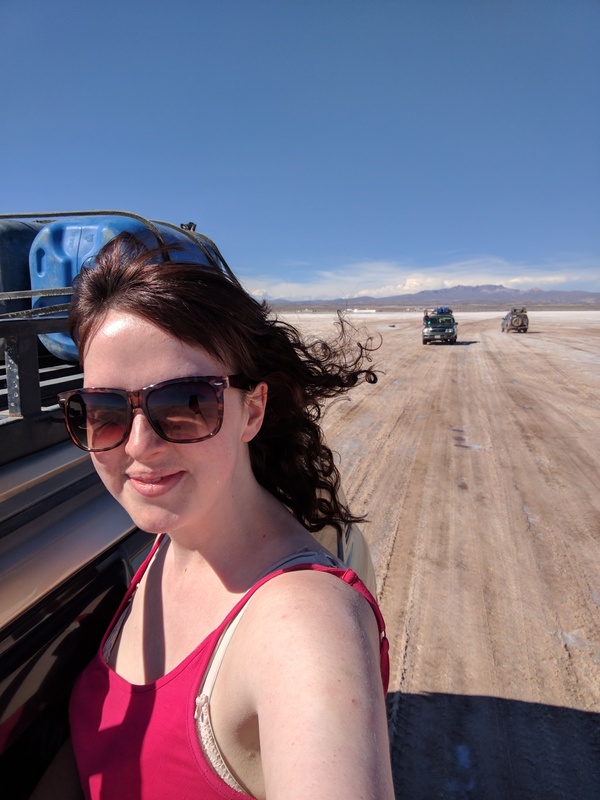 We headed out properly onto the salt flats. And oh my goodness what a sight. It was white for miles and miles. You could barely see the end. It looked almost like snow, but the patterns and formations in the salt made it feel more desert like. The mountains in the distance looked like mirages. With no UK rules, we were climbing out the windows and recording!!! We stopped at Dakar where the races are held and had a quick moment to take in the view and a few cheesy pictures of course. GB let me down and didn’t have a flag to pose with! 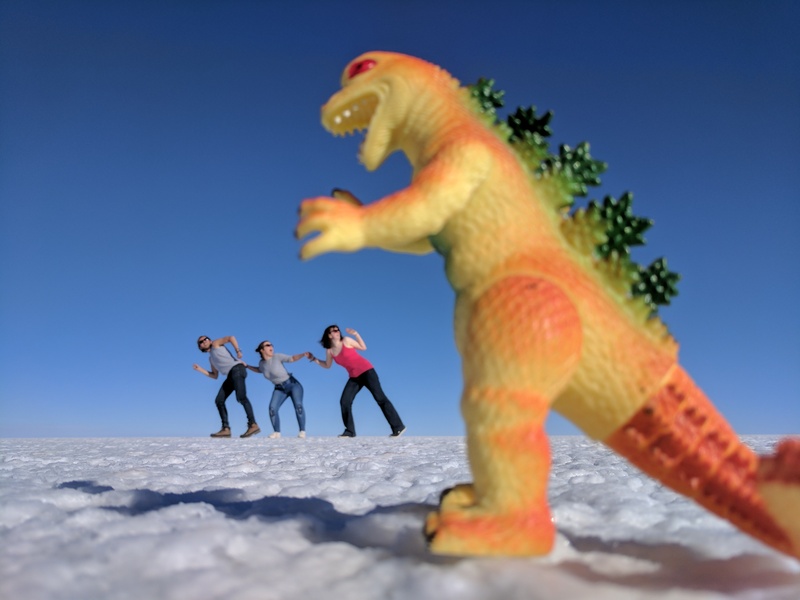 Our next stop was the traditional salt flats fun. 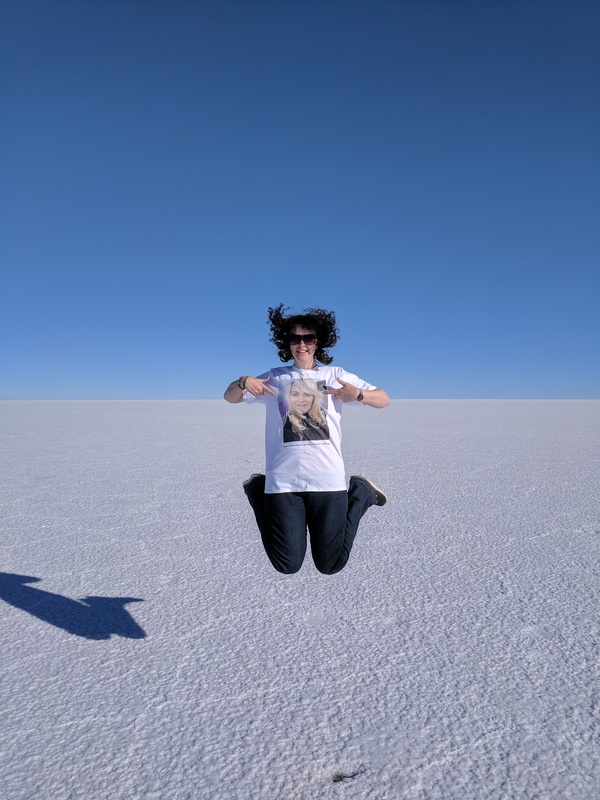 Please excuse the string of totally cheesy but hilarious salt flats pictures. We had an absolute ball taking them. 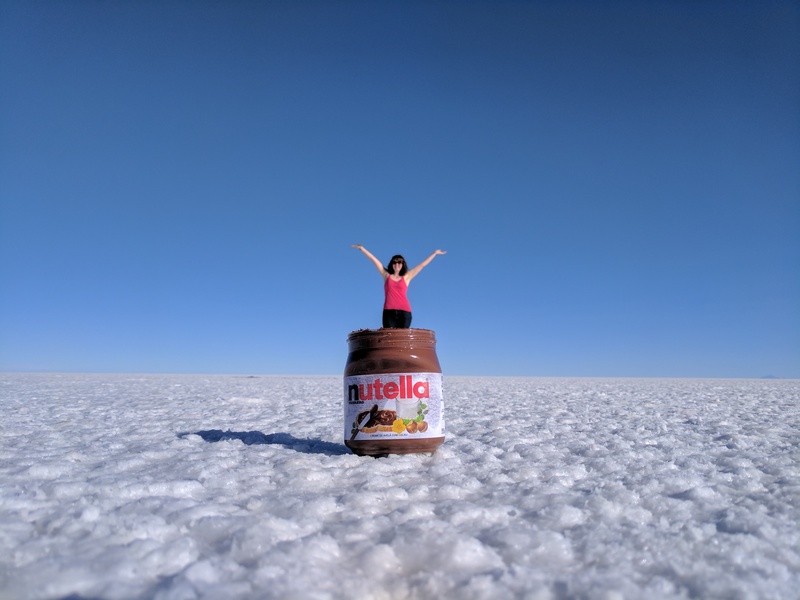 Of course the bestie made it to the salt flats! When we had finally filled our cameras and started to feel hungry, we hopped back in the 4×4’s to head to our accommodation for the night. The timing couldn’t have been more perfect. As we turned up the sun was setting and the moon was rising. We climbed out to the fields and watched. It was perfection in moments. Today feels like such a privilege. To have seen the beauty, had the fun I have had and be where I am right now. I am so lucky.